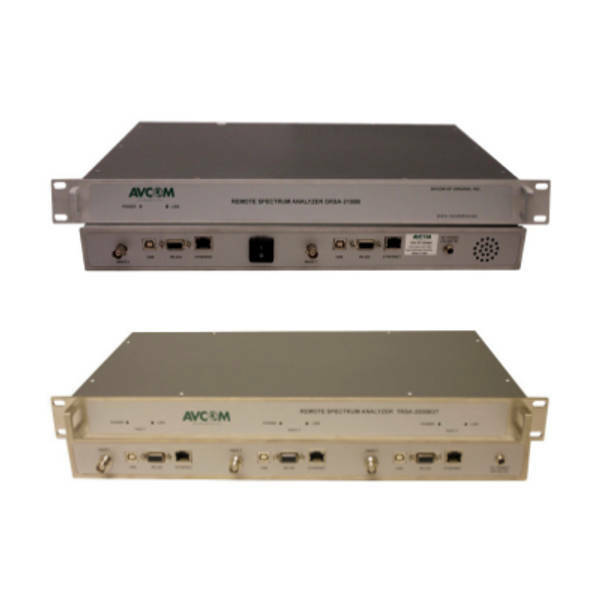 The D/TRSA utilizes two/three single board SBS spectrum analyzers in a 1U chassis offering two/three discrete inputs, all of which can be monitored and controlled simultaneously. This allows simultaneous real time monitoring and analysis of the desired carriers on the same screen via AVCOM remote control software. If your rack space is limited and you have the need for multiple spectrum analyzers then this system offers space saving advantages in a 1U package. Each board supports its own Ethernet/USB/RS-232 connectivity. When multiple screens are used in the GUI, this allows for real time monitoring of all carriers at the same time. 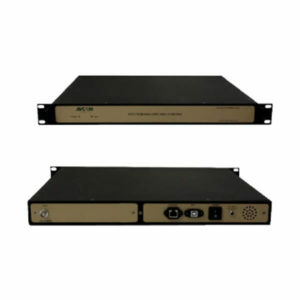 The D/TRSA is designed for the measurement and analysis of communications and broadcast carriers, making uplink, downlink, L-Band carriers, IF, and 10MHz reference signals easy to measure, monitor, and store. The D/TRSA provides excellent frequency and amplitude accuracy along with resolution band-width (RBW) selection from 10kHz to 1Mhz. This is required to allow viewing and monitoring of small Telemetry, Tracking, Command Systems (TT&C), data carriers found in many satellite communications markets, spread spectrum, and Wi-Fi as well. Making the RBW smaller is like zoom- ing in on a carrier and magnifying a smaller portion of it to see more detail of the signal.Variable reference levels (RL) from -10dB to -50dB make viewing of smaller to larger signals possible. 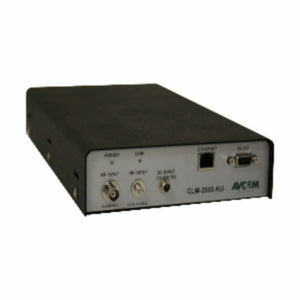 Zoom provides viewing at -2 dB RL for close up inspection when doing signal analysis. This also makes maximizing a satellite dish a snap. The D/TRSA can provide discrete remote monitoring and control from any- where in the world. 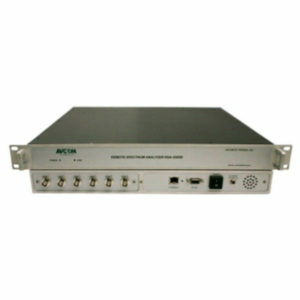 The D/TRSA is monitored and controlled using the Avcom Remote Control Software via serial port, USB, or Ethernet. The Remote Control Software has an intuitive user interface that is easy to use with no special training required. 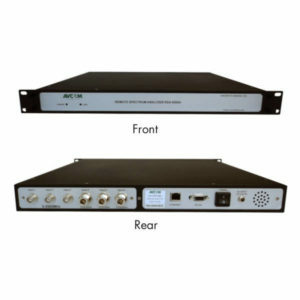 It allows remote monitoring and control from your network or over the internet. 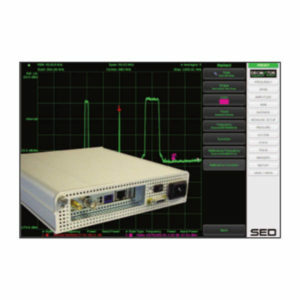 Features include screen shot capture recording, SMNP for alarm/monitoring, markers, and Automated Data Acquisition (DAQ) with tolerance comparison, and integrated email alerts to name a few. Up to twelve windows can be displayed at one time. The Remote Control Software is available for Windows, Mac, and Linux.